A chart from a November 13, 2014 report by the Independent Budget Office analyzing the city's shelter population over an 11-year period. 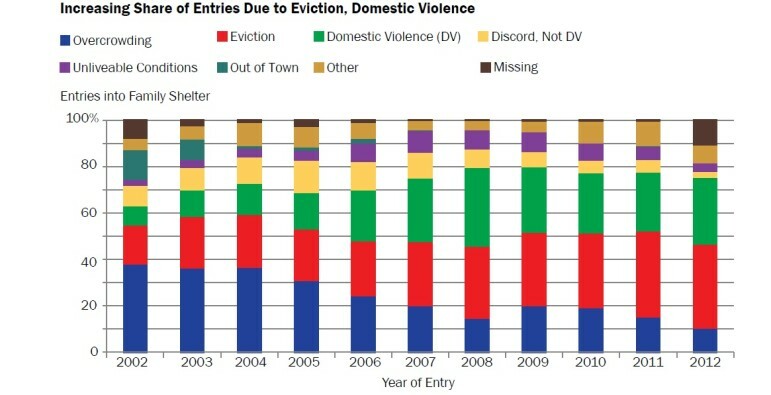 Domestic violence is a major contributor to the city’s worsening homeless problem. But evictions are the leading reason why families end up in the shelter system, according to a report by the city’s Independent Budget Office, or IBO, released on Thursday. The IBO report examines the period from fiscal 2002 through 2012, an era during which the number of families in the shelter system nearly doubled, then receded slightly. As the New York Times noted in an article earlier this week, domestic violence is an increasingly prominent factor in homelessness. According to IBO, the share of the shelter population deemed eligible because of a domestic violence issue soared from 8 percent in 2002 to 23 percent in 2012. 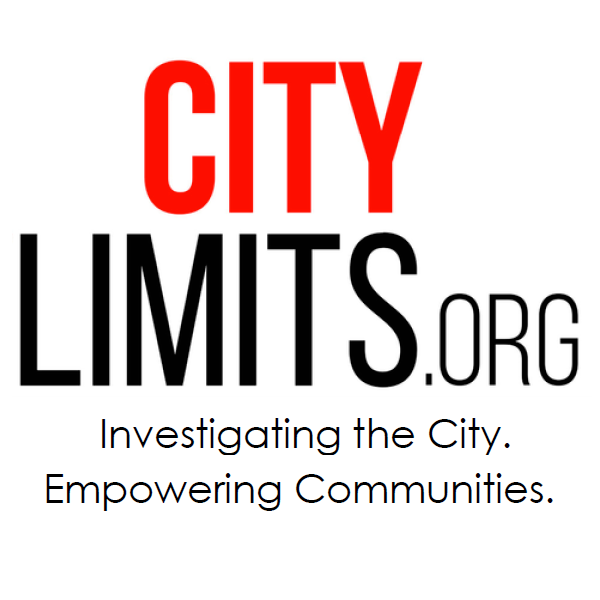 But evictions also showed a startling increase in importance during those 11 years, moving from being cited by 17 percent of the eligible pool to 28 percent. Meanwhile, overcrowding became a less cited reason for homelessness. Most of the families citing eviction as their reason for homelessness came from buildings with rent-stabilized apartments or from public housing, where they might have been doubled up with lease-holding tenants. The city’s shelter census surpassed 58,000 over the weekend, including 12,000 families with children, a higher than ever occurred under Bloomberg. That is at least in part a function of a higher eligibility rate. Unlike single adults, families “must demonstrate that they have no other housing option available to them in order to be deemed eligible for shelter,” the report reminds us. Over the course of the Bloomberg administration, the city denied a growing percentage of shelter applications. From 2002 through 2007, IBO reports, 46 percent of applicant families were deemed deserving of shelter, but from 2008 through 2012, the eligibility rate fell to 39 percent. The Department of Homeless Services (DHS) reports that since de Blasio became mayor, the share of applicants found eligible has gone back up to 46 percent. Under de Blasio, DHS says, the length of the average family’s shelter stay has been reduced by approximately 30 days. The agency this year doubled its funding for the Homebase Prevention Program, which aims to prevent evictions. And de Blasio restored priority to Section 8 vouchers and NYCHA apartments for people leaving shelters—a benefit Bloomberg suspended out of concern that people would enter the shelter system just to jump the line for rental assistance or public housing. The signature de Blasio program is Living in Communities, a transitional housing benefit meant to replace the Bloomberg administration’s advantage program, which was torpedoed in 2011 by a funding dispute between the Cuomo administration and the city. LINC is actually three programs—one for working families, one for repeat shelter users and one for domestic violence cases. It is still being rolled out. Roughly a third of the homeless families who entered shelter from 2002 through 2012 came from census tracts containing less than 2 percent of the city’s population. The table below shows how many families came into the shelter system from the top neighborhoods.